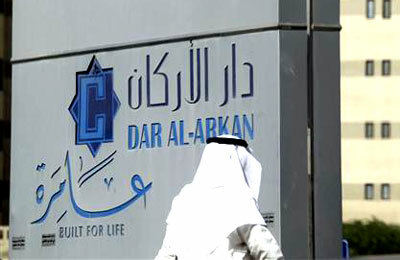 Dar Al Arkan, the largest listed real estate developer in Saudi Arabia, has announced that it has submitted a request to Etmam, the developers services centre at the Ministry of Housing, for the accreditation of three comprehensive development projects in Shams Ar Riyadh, totalling over 1.936 million sq m in area. The company also applied for the issuance of off-plan sales licence for projects under construction in Shams Ar Riyadh, said the developer. The new masterplans involve three zones in the iconic Shams Ar Riyadh development, which is strategically located on King Khalid Road. The comprehensive development in Zone 1 will be built over an 849,000-sq-m area. The Zone 3 masterplan covers 449,000 sq m and Zone 5 involves a 638,000 sq m area. Shams Ar Riyadh incorporates residential, commercial, and mixed-use spaces, overlooking the stunning views of Wadi Hanifa. Chairman Yousef Bin Abdullah Al Shelash said: "We are pleased to be part of the Etmam initiative and have submitted three projects in Riyadh for its processing. We are confident that with the introduction of Etmam the overall approval for new projects will be accelerated to the benefit of all developers and stakeholders." "This step will further shape the development of Shams Ar Riyadh to support a thriving residential and business community. Working together with Etmam, we can transform the new zones into distinct holistic, sustainable communities with active and vibrant lifestyles," stated Al Shelash. The accreditation of the new masterplans in the three zones in Shams Ar Riyadh follows on from the development of the Sabic residential complex, which comprises 600 fully equipped residential units built on a 1.8-million-sq-m area in Zone 2 and the mobilisation of the infrastructure work in Mirabilia, the upscale residential villas with interiors by Italian fashion house Roberto Cavalli, in Zone 4.